Thank you for your visit on our web site. Hope you can get what you want to get, like the new designs, recently news and others. But if need further service, please contact us by phone or email for more details. Pai Pen Pro International Ltd. was found at Mar. 22, 2013, created because we are trying to complete their dreaming on writing taste with luxury items and bring the dialogue between writing & art of jewelry into people's daily life. Make each one is filled with soul of writing & & art of jewelry each day. Makes people own the imagination to pursue the art & dreaming temptation, then complete their deeply creation. Life should be good like writing, typing, flying…etc. Each one can be art designer of his life and the creator of his dreaming soul. To enjoy life . The Pure, The Simple , The Fountain pen. Pai Pen Pro International Ltd. on plush toys with novelty concepts, We are professional manufacturer of plush toys, stuffed toys and soft toy with OEM design. China. We offer competitive prices in same quality or high quality in lower price. Meanwhile we also meet all applicable international and safety regulations such as EN-71 part 1, 2, 3, & ASTM or even CPSIA. We are looking for the long-term business relationship and will generate very impressive volumes for mutual benefit. And doing branding jewelry stationery which include the jewel perfume stationery/ jewel writing instrument and jewel necklace…..etc. We also create and develop new & creative products. Work with Italian designer and surely Chinese & Taiwanese designers. Our main purpose is that create the suitable jewel & comfortable plush items which make people to really "Enjoy" creative items and "Enjoy" easy life. Suitable Jewelry items are focusing on "Noble" but not so "Expensive" items which people can really enjoy Jewel items and bring jewel to their life. Through natural power of agate jewel connect our power space around us and also reduce the impact of radiation factors. Also can have creative jewel designs at same time. Like Jewel stationery, Jewel USB, jewel perfume necklace….etc. All are waiting for you to experience. 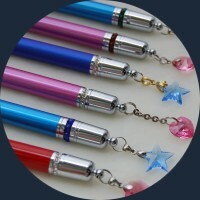 The refill of pen is refillable and same as perfume necklace. Surely, all purpose of refilling are for "Environment-Protection" and the only one "Earth" where we live and next generation "survive". Please join us for Protecting the only "Earth" Now. Web site or Exhibition is first contact between both of us. For any new inquiry, please feel free to let us know. We are ready to serve you, like quote, samples and even good service of your order delivery details. We are great to know you and eager to work with you as a team for future business. Pai Pen Pro International Ltd.
派博國際有限公司成立於2013年3月22日,成立的宗旨: 為了將書寫靈魂與珠寶美學帶入人們的日常生活，讓生命的每一天，充滿了書寫與珠寶的對話, ,透過夢幻珠寶意象，讓人們有了想像力，追求美學及理想的誘惑力，逐步完成了每個人心中最深層的創造力，生活就應該這麼舒適 這麼自在，挽起袖子，拿起紙筆，打開電腦，無時無刻，自在飛翔，每個人都可以是自己生活的美學設計師，夢幻靈魂的創造者，平實中激發起我們許久不曾有的夢想，享受生活，享受人生。就讓我們一起享受書寫的樂趣,玩味人生的----純粹, 簡單就是鋼筆 ! 派博國際有限公司在目前紛亂的玩具生產行列中，謹遵安全無毒原則，做良心事業。讓大人小孩皆能安全無虞的使用商品，透過安全商品及人體機能考慮，達到絨毛玩具人人愛，安全有趣富創意，柔軟舒適伴人生，回憶總在孩提時。 另著重品牌化的珠寶文具商品，諸如瑪瑙珠寶香水項鍊、瑪瑙水晶珠寶文具、珠寶項鍊…等等，瑪瑙被稱為幸福之石，代表和平與幸福，也代表著財富及平衡磁場能量，加上施華洛世奇水晶元素，更增添時尚感.當瑪瑙珠寶成為書寫工具， 同時，也提升到瑪瑙珠寶文具， 瑪瑙珠寶項鍊可以幻化成筆或時尚配件， 挑戰人們的想像，讓每個人都可以是自己生活的美學設計師，夢幻靈魂的創造者。同時，要建立" 您我的"珠寶品項及舒適的絨毛&布類商品，讓人們真正享受創意商品&享受人生，也提倡"環保"意識，我們的一小步，確是地球環保的一大步，請加入我们"環保"的行列!